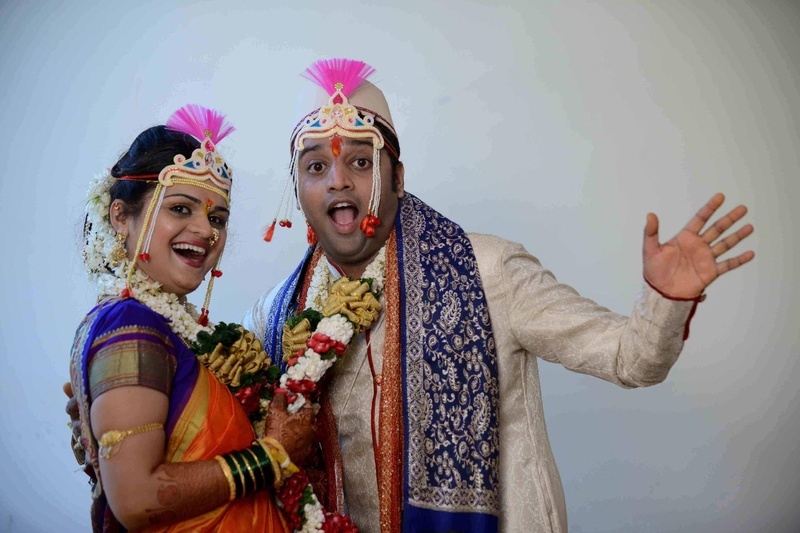 Reshma and Ashish tied the knot in a traditional Maharastrian wedding ceremony that was organized indoors. 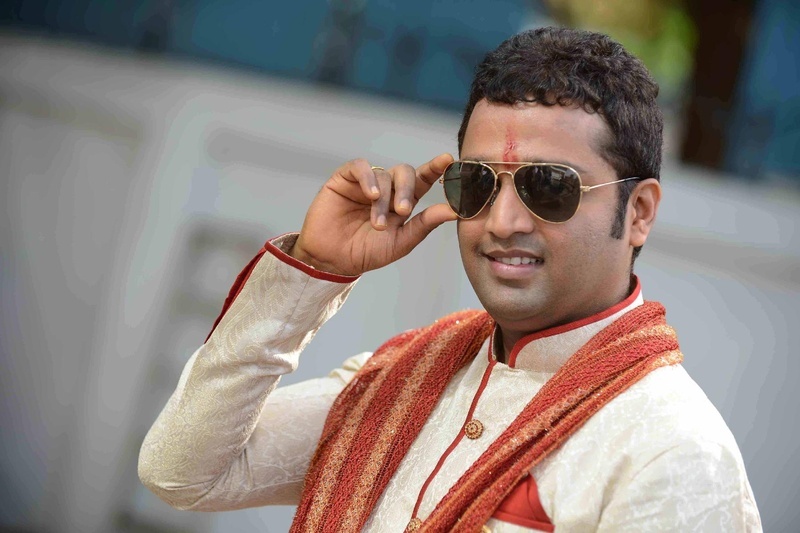 This adorable couple kept the cool quotient up and running throughout every wedding ceremony. 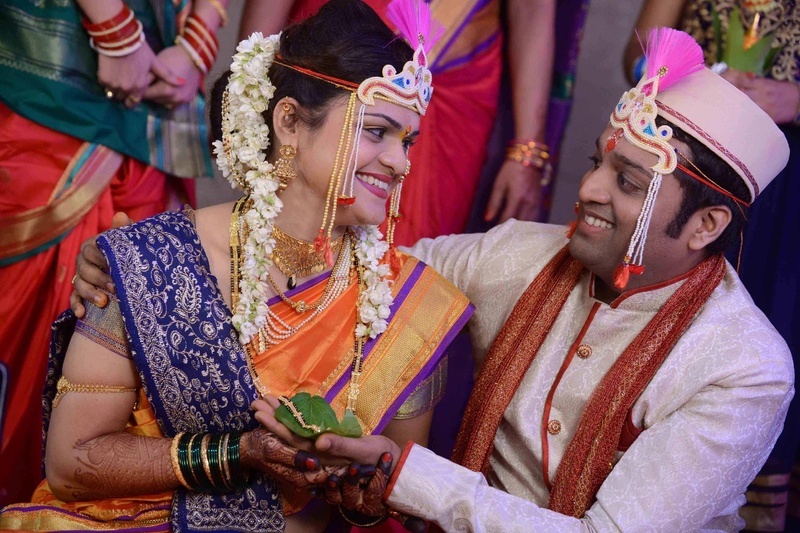 Smiling and looking deep into each other’s eyes, Ashish placed a betel leaf below the mangalsutra Reshma was wearing, as a part of a Maharastrian wedding ritual. 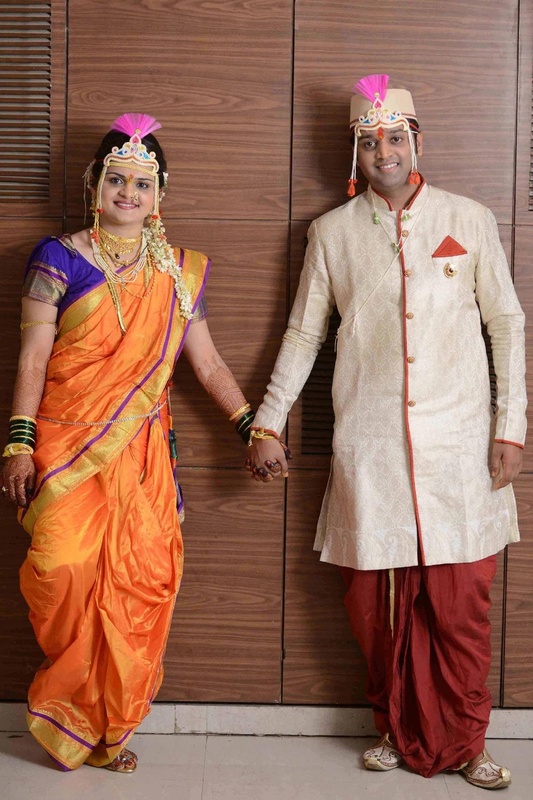 The bride wore an ethnic nauvari saree which had adorned an interesting combination of bright orange and purple along with a matching shalu featuring stunning embroidery. With gorgeous make-up on she accessorized herself with multiple gold necklaces, a gold nath and gold ear rings. The groom went for a traditional cream sherwani with a maroon dhoti and a matching Gandhi topi. The couple wore matching mundavalyas complimenting each other perfectly. 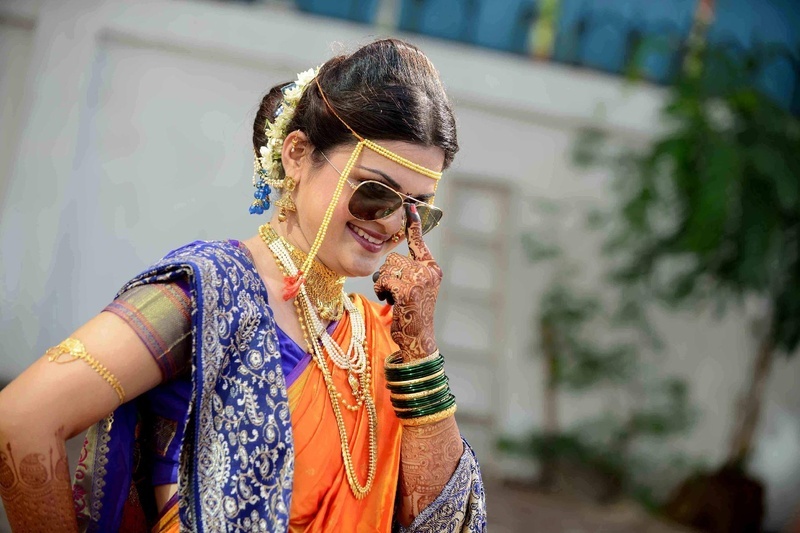 Their crazy-fun wedding photography was done by Sachin Prakash who perfectly captured the bride and the groom posing in sunglasses with fun expressions and even the sweet candid moments outside the wedding venue, too. Scroll down to see their wedding album!